Part of what’s so scary about the mosquito-borne Zika virus is not knowing which mosquitoes could be carrying it. But worry no more: We can say with total certainty that at least these eight don’t! Don’t be alarmed if you see this particular mosquito buzzing around this summer, because she’s 100 percent Zika-free! 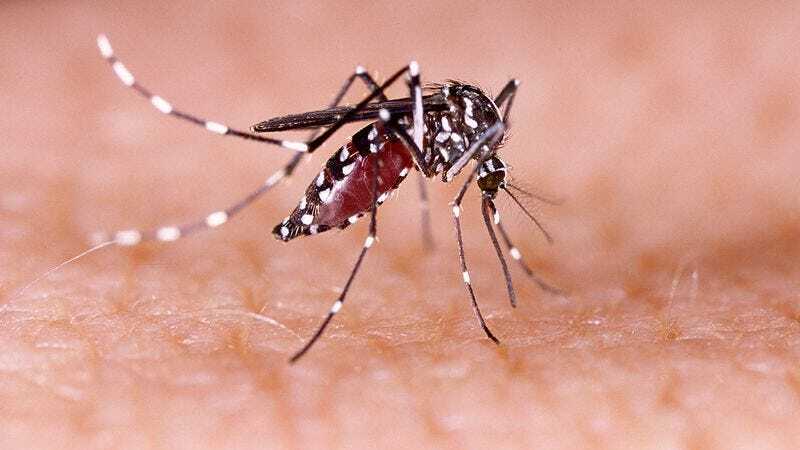 The only thing this mosquito’s engorged with is regular old blood, so take a good look and remember this face! Good news, Olympians: This mosquito’s in Rio, but the worst you’ll get from it is a bug bite. Good luck at the games! Visiting the Everglades? Keep an eye out for this one. It might give you Saint Louis encephalitis, but as far as Zika’s concerned, you’ve got nothing to fear. This Adirondacks-based mosquito is certifiably free of Zika. Feel free to bookmark this list or print it out and keep it in your wallet as a quick-and-easy reference for your mosquito encounters, at least until the world gets a handle on this epidemic. Whoops! Someone got to this one before we did. Well, no Zika here, now or ever! Hope these take some of the stress out of the summer. Stay safe out there!